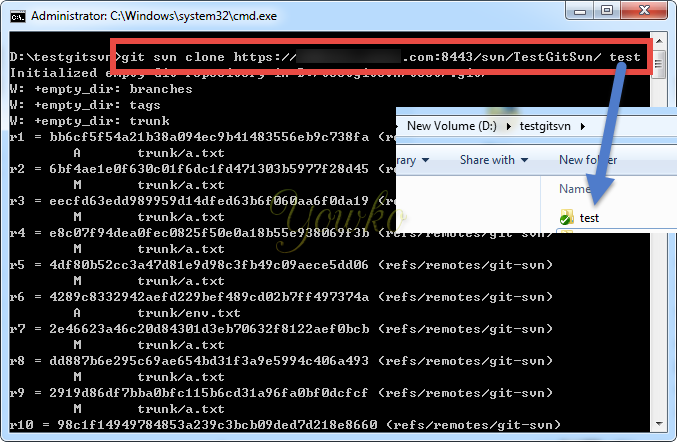 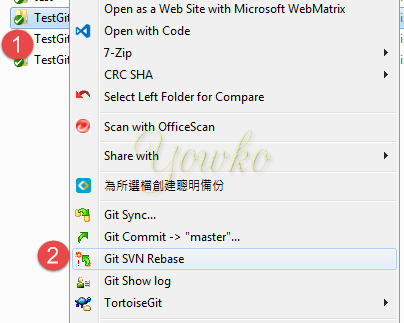 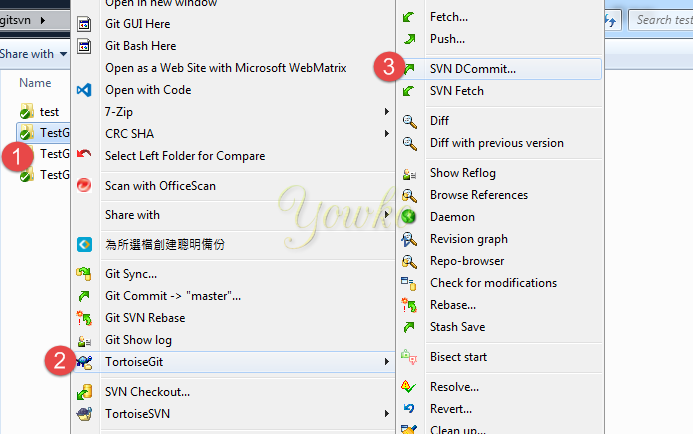 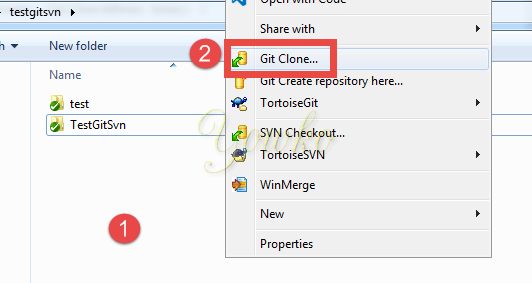 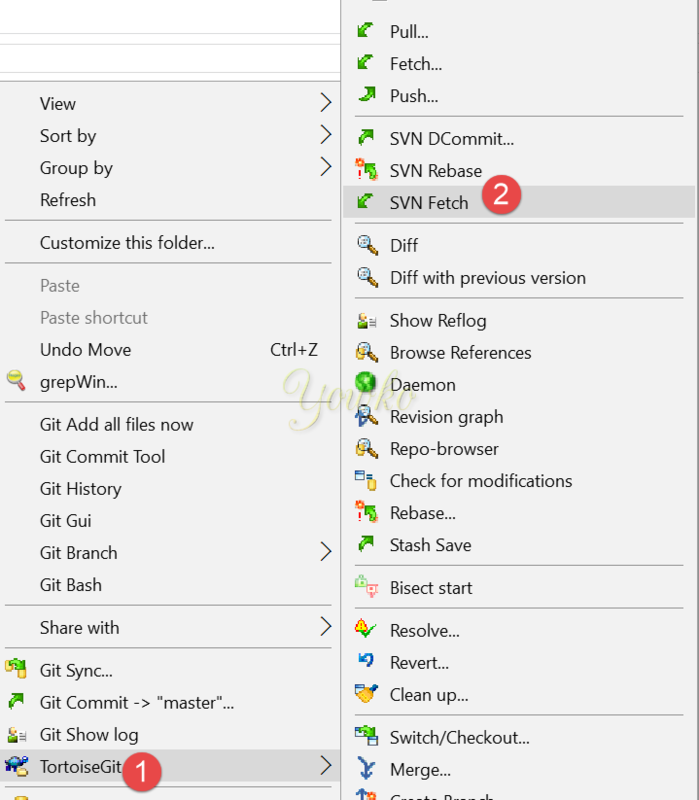 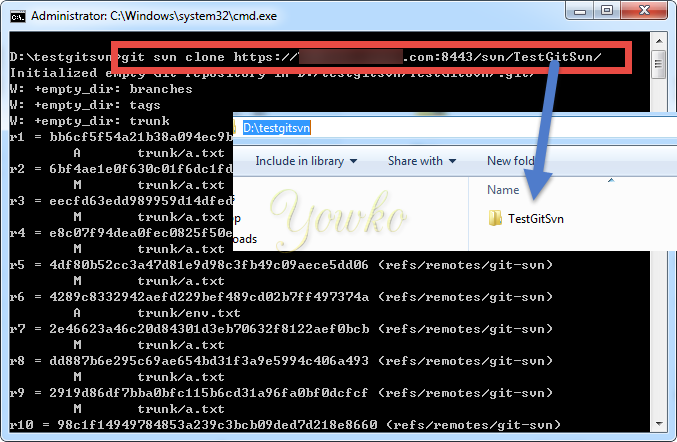 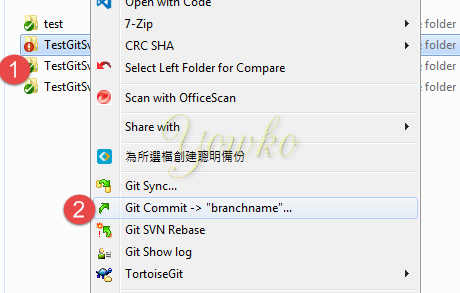 -a 是將新增的檔案也納入 commit 範圍，等同於 git add . 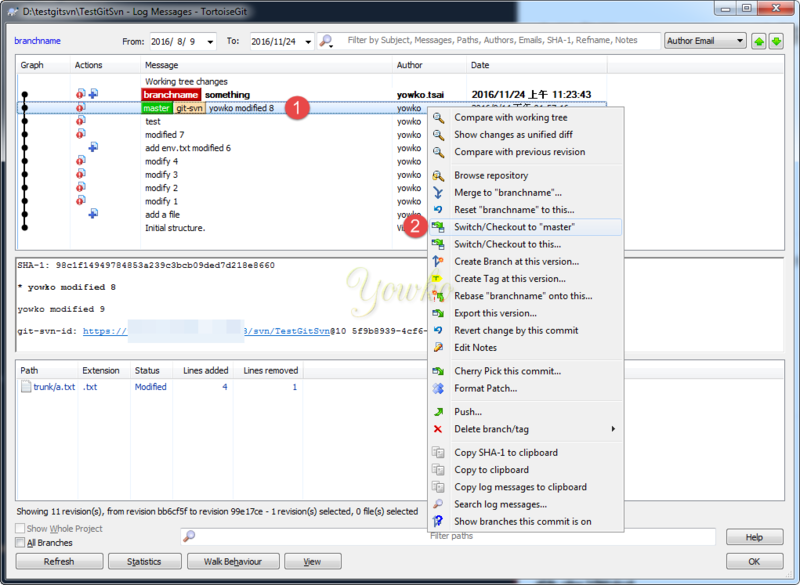 1-2. 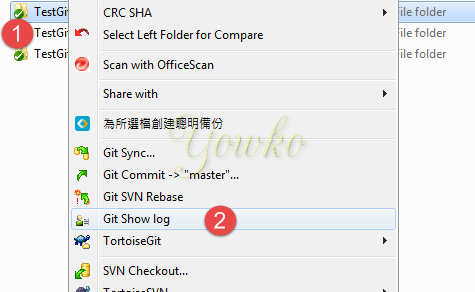 在 master 上，按右鍵 –> Switch/Checkout to "master"
2-1. 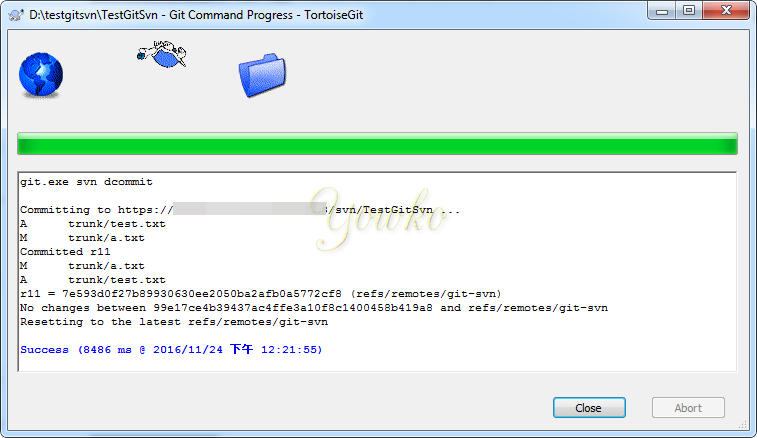 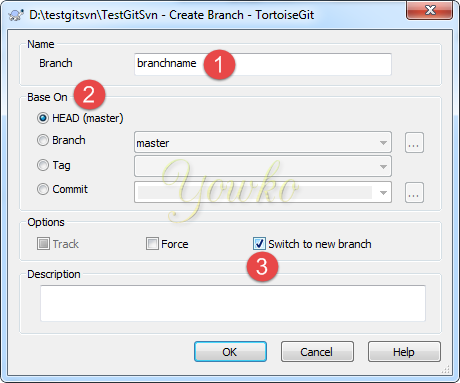 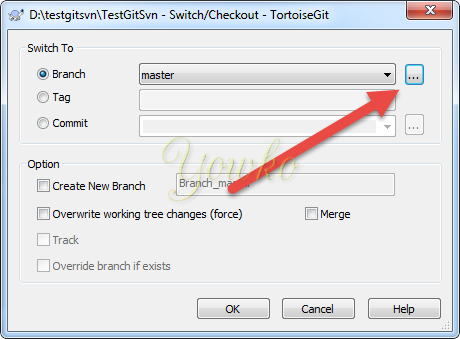 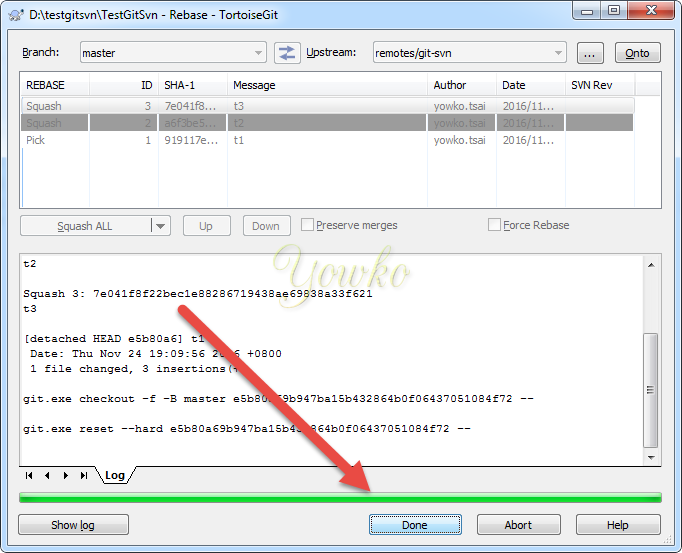 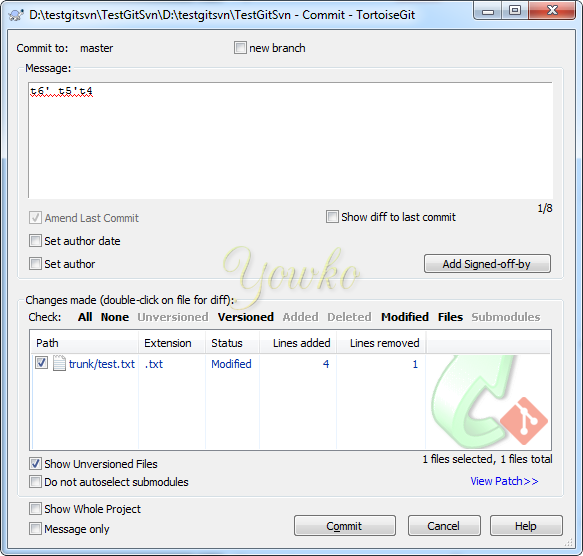 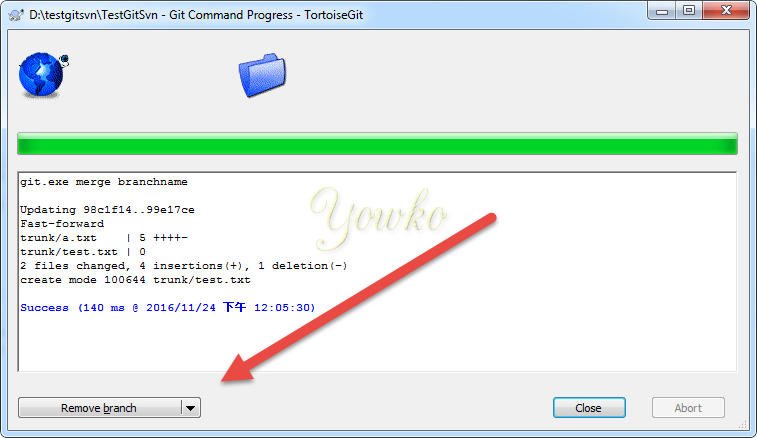 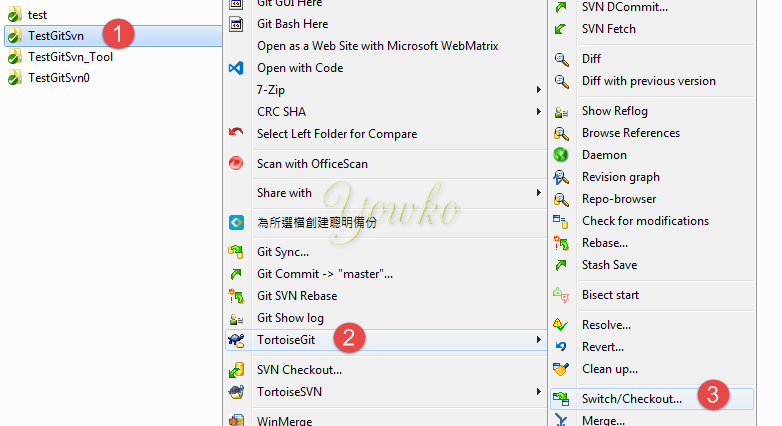 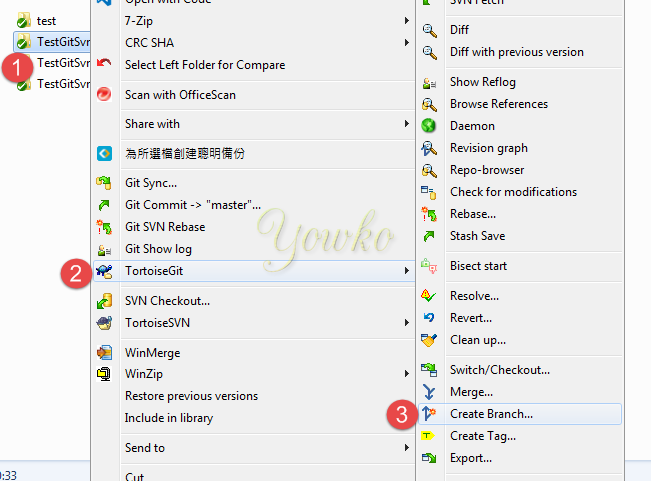 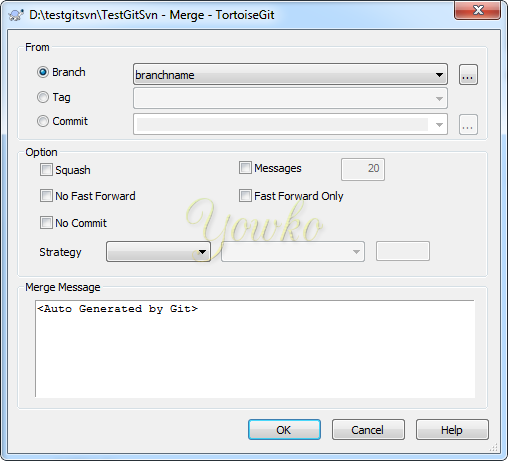 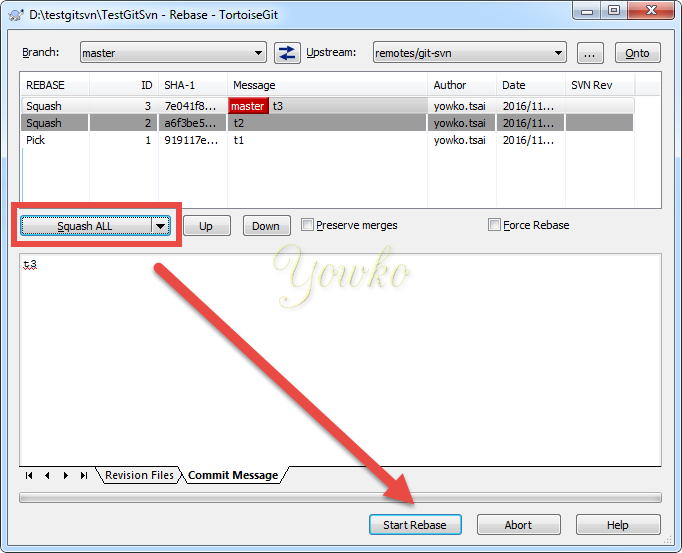 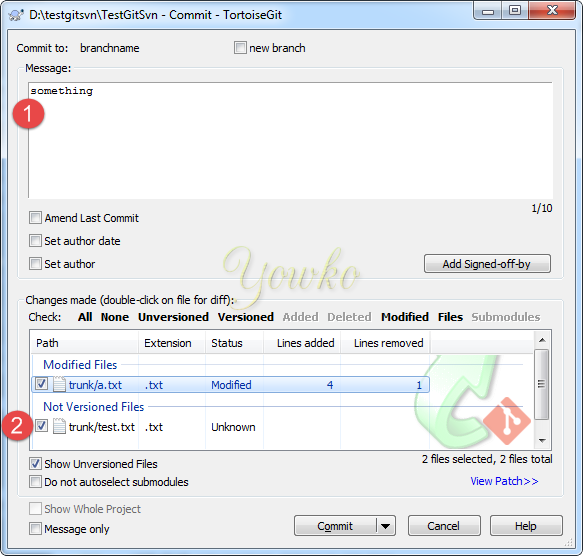 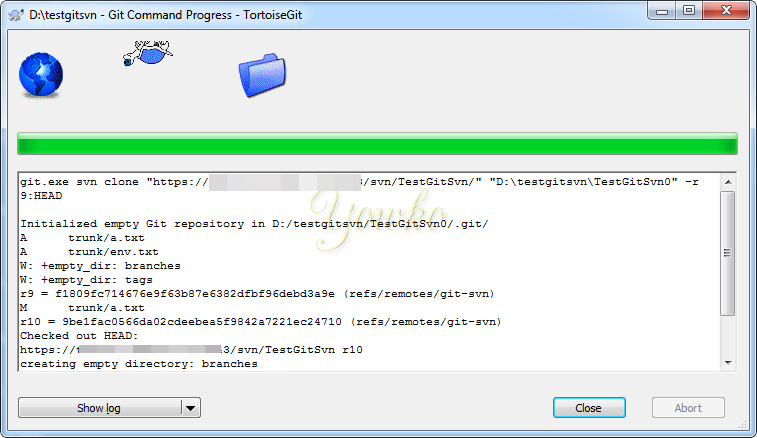 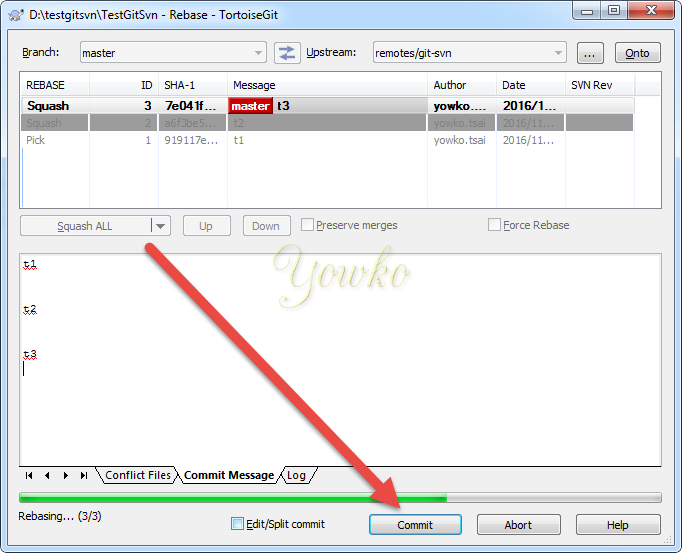 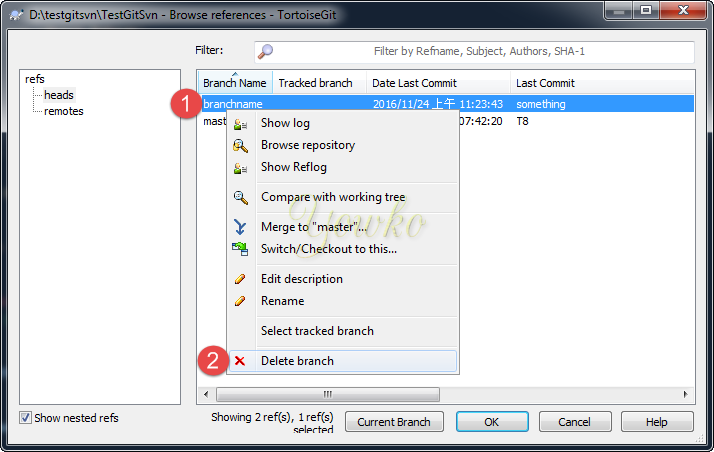 資料夾右鍵 –> TortoiseGit –> Switch/Checkout..